This color! 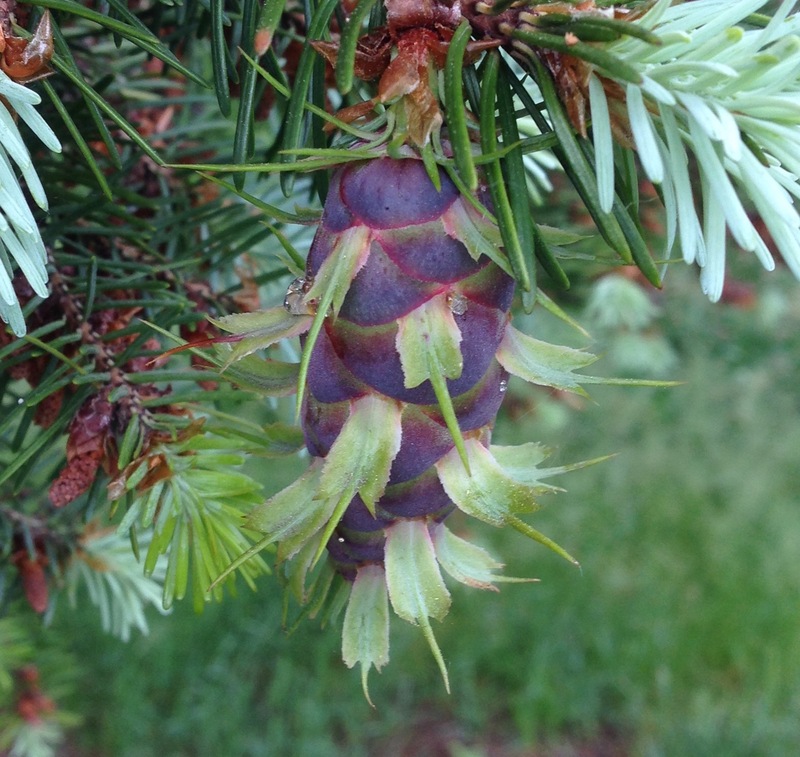 Douglas-fir (Pseudotsuga menziesii) cones start out red. As they mature through the spring, they turn this surprising and delightful purplish. Then they green as the chlorophyll comes into its own. 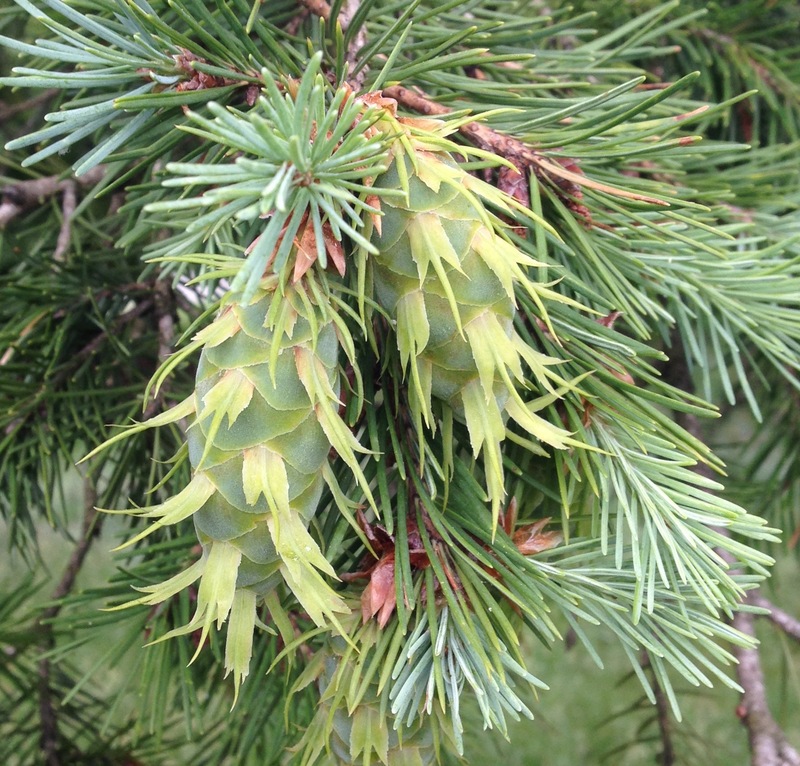 In the fall, they will dry out and turn tan-brown, opening to release up to 50 tiny seeds per cone. A tree has to be about 20 years old before it starts producing cones, and the more mature trees produce more. This UC site has a lot more information about this species. The three-pointed bracts sticking out from the scales of the pendulous cones are distinctive. These photos are from way out of the native range of this wonderful tree, in the New York Botanical Garden. Here’s a little something I wrote about them on their native slopes. And in a throwback to Thoreau Thursdays, here’s a fine thought-provoking review of Walls’s new biography of Thoreau.